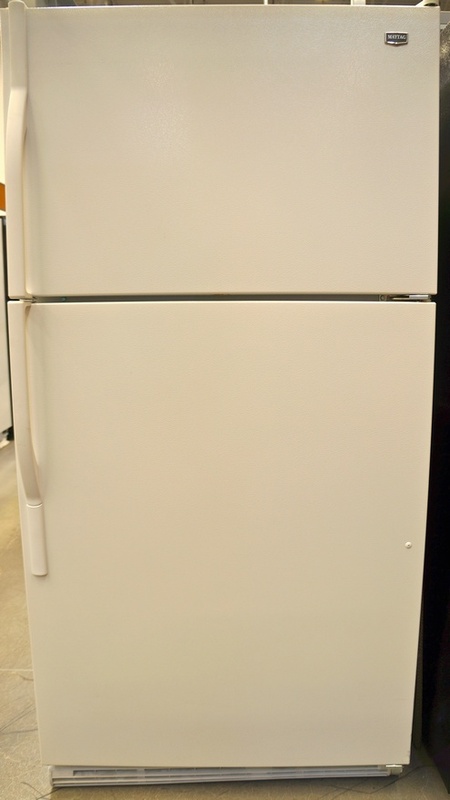 French-door models combine the drawer-style freezer of a bottom-freezer unit with the low-clearance doors of a side-by-side unit. Side-by-side units split your fridge right down the middle, offering you frozen foods on the left and fresh foods on the right. Top-freezer models use the bottom two thirds of the unit to store fresh-food and the top third for the freezer. 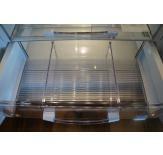 Bottom-freezer units are a simple solution that offer easier access to your fresh foods. 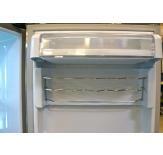 This type of refrigerator is similar to top-freezer refrigerators except the freezer is on the bottom. What is the best refrigerator? ProductReportCard has reviewed some of the best refrigerators on the market to help you find the right refrigerator for your needs and budget. After conducting extensive research on various refrigerator brands and styles, we picked out our favorite Side-by-Side, Top-Freezer, Bottom-Freezer and French Door refrigerators in different price points and compared them against one another. We ranked each based on its refrigeration system, its shelving/storage set up, any bonus features it has, its exterior style/functionality, its brand's general reputation and reliability history, and the feedback its received from customers online. Based on our analysis, we then chose the best overall refrigerator, the best high-end refrigerator, the best budget refrigerator and the best refrigerator for large families. Your refrigerator is one of the most important appliances in your kitchen. Since refrigerators vary greatly in terms of size, style, price, technology and amenities however, it can be difficult to determine the best refrigerator for your particular needs and budget. Below we have reviewed some of the best refrigerators on the market to help you find the best refrigerator for your home. After you have read the overview below, we highly recommend reading our Refrigerator Buying Guide. First we evaluate the refrigeration system within each of the models. The cooling system in particular is one of the most important factors to consider because it directly affects the refrigerator's ability to keep your food fresher for longer. After looking for its ENERGY STAR® label, we then determine whether its cooling system is designed with a dual compressor / dual evaporator, a single compressor / dual evaporator or a single compressor / single evaporator. While a dual compressor / dual evaporator is ideal because each compartment is kept completely separate, these systems aren't as energy efficient as ones with a single compressor / dual evaporator, and so they are only rated slightly higher in our rankings. Next, we check the refrigerator's temperature control system. Digital controls that allow you to make precise temperature adjustments in the fridge and in the freezer are preferable, but some refrigerators only allow you to make general adjustments to both compartments. We also awarded points if the refrigerator offered quick cooling technology, which is a convenient feature for rapidly reducing the internal temperature of the fridge or the freezing after its been loaded with groceries, the door has been left open, etc. Additionally, we looked at whether the freezer had an automatic or manual defrosting system. Auto-defrosting (or frost-free) freezers are relatively common, but you may still come across some manual ones if you are considering cheaper model. 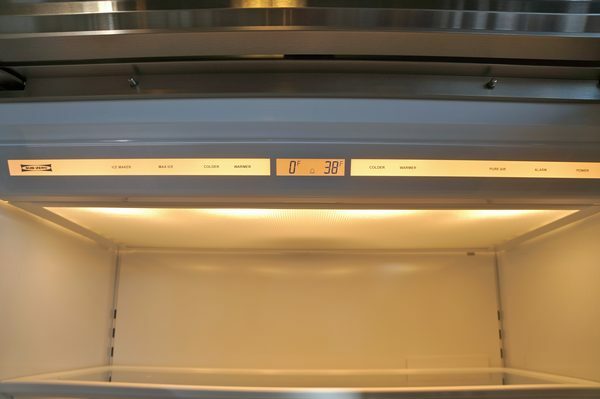 Lastly, we looked at refrigerator testing done at Consumer Reports to get a sense of each models temperature performance and noise levels during operation. We found that the brand with the best refrigeration system is Sub-Zero. It features dual compressor / dual evaporator cooling technology and is able to maintain preset internal temperatures within 1 degree while also keeping optimal humidity levels in both the fresh food compartment and freezer. 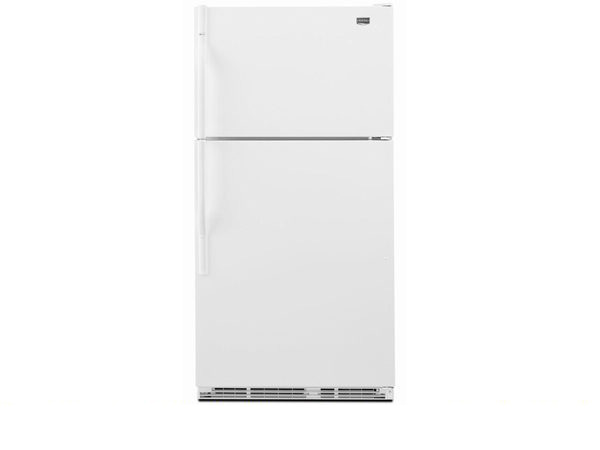 However, our favorite model, the Sub-Zero BI-36UFD French Door Refrigerator, didn't win this category because it isn't ENERGY STAR® compliant. The top rated models were the Samsung RSG257 Side-by-Side Refrigerator, the LG LDC22720 Bottom-Freezer Refrigerator and the Kenmore Elite 7205 French-Door Refrigerator. Each of these refrigerators is ENERGY STAR® compliant with a single compressor / dual evaporator cooling system. They offer precise temperature adjustments in both compartments, and, according to Consumer Reports, have excellent temperature performance and a quiet operating system. All are designed with auto-defrosting freezers, and the Samsung RSG257 and LG LDC22720 are also built with rapid cooling technology. Digital temperature controls are ideal because they allow you to make precise adjustments to the fridge or freezer when necessary. 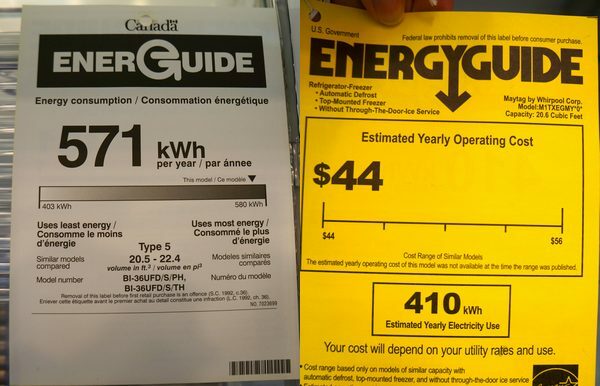 Energy Efficient vs. ENERGY STAR® certified. Here we assess the storage capabilities within the fridge and freezer. First, we look at the materials used for the shelving and door bins. 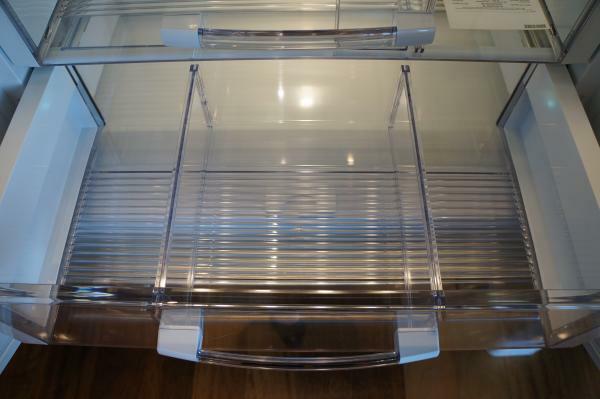 Tempered glass is the best material for shelves and bins within the fridge because it is durable and allows you to easily view what is inside. We also like to see shelves with spill-proof edges in the fridge because they help to contain messes and limit the spread of germs. In the freezer, spill-proof edges are obviously not as important, and you'll probably see mostly wire used for shelves or bins. Next, we evaluate the flexibility of the refrigerator's storage system. Highly adjustable door bins and shelving (including retractable or removable shelving) are ideal because they help you maximize the useable capacity of your refrigerator. We also check out the drawers in the fresh food compartment. We like to see at least one full-width or two half-width crispers because humidity-controlled drawer(s) help keep fruits and vegetables fresher for longer. We also like having at least one temperature-controlled deli drawer because it helps to extend the life of your meat products. In terms of door storage, we also like to see at least one gallon-size bin and one sealed dairy bin in addition to smaller bins for condiments. 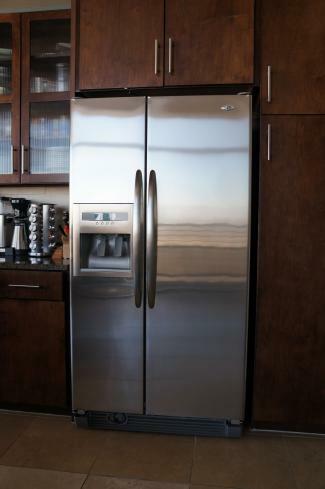 In terms of storage, our favorite model is the KitchenAid KBRS22KW Architect® Series II Refrigerator. It offers everything one could want in a refrigerator's storage system including highly adjustable shelving/bins, two humidity-controlled crispers, one full-width temperature-controlled deli drawer, and a bonus wine/beverage rack. The Sub-Zero BI-36UFD French Door Refrigerator wasn't far behind, but lost points because it lacks a gallon-size door bin and extra storage solutions like the wine rack. Not surprisingly, the least expensive model reviewed, the Maytag M1TXEGMY Top-Freezer Refrigerator with FreshLock™ Crispers, scored the lowest in this category. Its storage system has the essentials, but it doesn't offer as much flexibility for maximizing capacity, and it doesn't have a temperature-controlled deli drawer. Humidity- and temperature-controlled drawers allow you to keep certain foods fresher for longer. Optional dividers in full-width drawers allow you to keep food items well-organized. Bonus storage features (like an optional can holder or wine rack) can really enhance the useable capacity of a refrigerator. 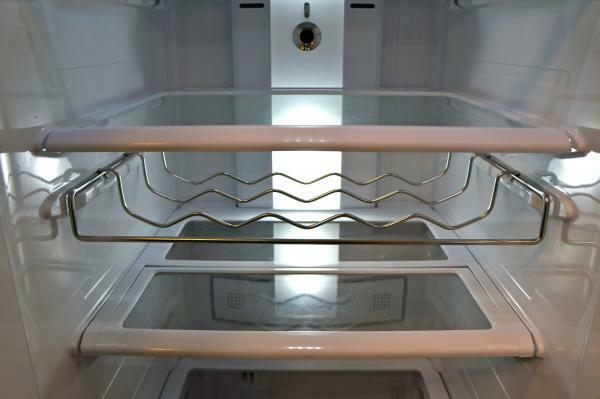 Here we evaluate some of the bonus features that enhance a refrigerator. First, we check to see whether it has an open door or temperature alert. This helps protect your food from spoiling and is a particularly helpful feature if you have a big family. 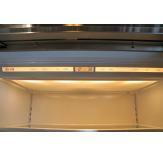 We also look at the lighting system in the fridge and freezer. We prefer environmentally friendly LED lighting but don't mind having incandescent lights so long as they are located in both compartments. Next, we check to see whether the fridge has a built-in air filter. Built-in air filters eliminate the need for a box of baking soda and they also cut down on airborne bacteria as well as ethylene gas, which can cause some foods to ripen prematurely. 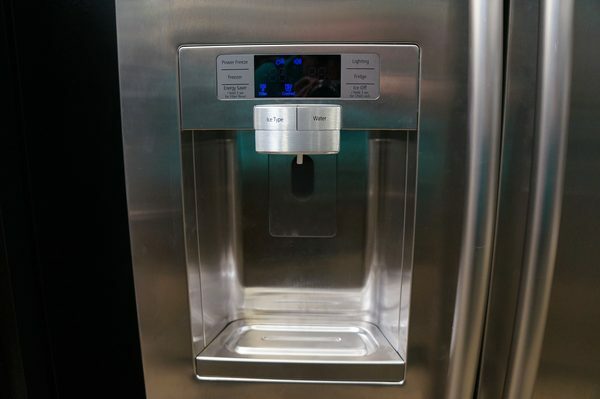 We also like having a refrigerator with a factory-installed automatic icemaker, especially if it features bulk ice-making capabilities, but we like to have a built-in water filter along with it. Along the same lines, we also like the convenient of having an external water/ice dispenser on our refrigerator and give bonus points for child locks so little munchkins can't create a big mess or reset the refrigerator's temperatures without your knowledge. Lastly, we also like seeing if a refrigerator is Star-K certified or at least offers a Sabbath mode because it not only complies with certain religious observances but also is nice for those who travel a lot. The Kenmore Elite 7205 French-Door Refrigerator has nearly all of the bonus features that one could need in a refrigerator. 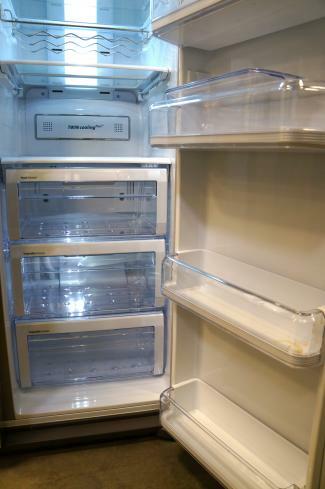 It has an open door alert, LED lighting in both compartments, a built-in air filter and a built-in water filter for its automatic icemaker and the external water/ice dispenser Again, not surprisingly, the refrigerator with the fewest frills is the Maytag M1TXEGMY Top-Freezer Refrigerator with FreshLock™ Crispers. 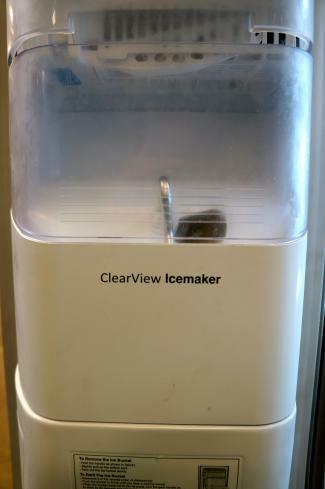 While it comes with an automatic icemaker, it doesn't have a built-in water filter, and it is also lacking a light in the freezer. 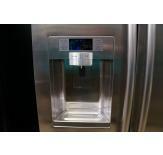 We award additional points to refrigerators with bonus features such as a water/ice dispenser. We love a factory-installed automatic icemaker in our freezer especially if it comes with a built-in water filter. 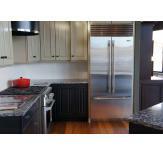 Here we consider the exterior style and functionality of the refrigerator. Since style is a personal choice, we first look to see what is offered in terms of finishes. We appreciate having multiple options when it comes to finishes and door handles because it allows for more design flexibility. We also like it when a refrigerator can be fitted with a custom panel for a fully flush integration with the surrounding kitchen cabinetry. 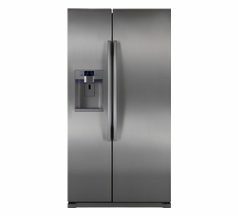 For top- or bottom-freezer refrigerators, it is also convenient to have a fridge with reversible doors, which allow it to fit into any kitchen set up. Lastly, we look to see whether the refrigerator is designed to be ADA-compliant. The Samsung RSG257 Side-by-Side Refrigerator and Maytag M1TXEGMY Top-Freezer Refrigerator with FreshLock™ Crispers came out on top in this category. 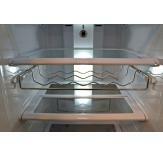 Both refrigerators come in multiple finishes and are ADA compliant. The Maytag model is also designed with reversible doors. The LG LDC22720 Bottom-Freezer Refrigerator didn't do as well. It only comes in two finishes with matching handles, isn't designed for custom panels, doesn't have a reversible door and isn't ADA compliant. A built-in refrigerator compared to a freestanding one. Here we assess a brand's overall reputation and reliability. First, we take into consideration how professional firms have rated the brand. 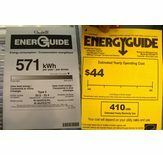 For example, we incorporate reliability studies done by experts at Consumer Reports, as well as the results from consumer satisfaction studies conducted by JD Power and Associates, which, in 2013, included testimony from over 4,500 people who had purchased a refrigerator in the previous 24 months. 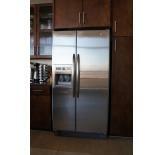 Lastly, we also look at the warranty that is included with the purchase of your refrigerator. While most warranties will include longer coverage on parts and/or labor for the sealed refrigeration system, we looked simply at the manufacturer's warranty on the entire unit. 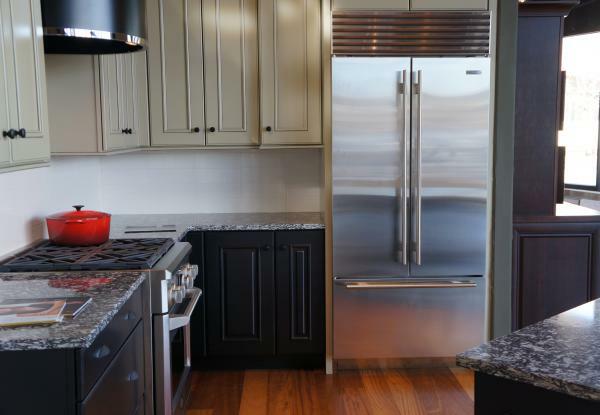 A 1-year warranty seems to be the standard for moderately priced refrigerators, and we wouldn't suggest purchasing any with a warranty lower than that (especially if you are purchasing a model with an icemaker in case there are any issues). The brands with the best reputation and reliability are Sub-Zero and Samsung. They both come with great warranties, have received good reliability ratings from Consumer Reports and ranked highest among their peers in overall customer satisfaction from a JD Power & Associates survey (Samsung in 2012 and Sub-Zero in 2013). Our two favorite models are the Sub-Zero BI-36UFD French Door Refrigerator and the Samsung RSG257 Side-by-Side Refrigerator. 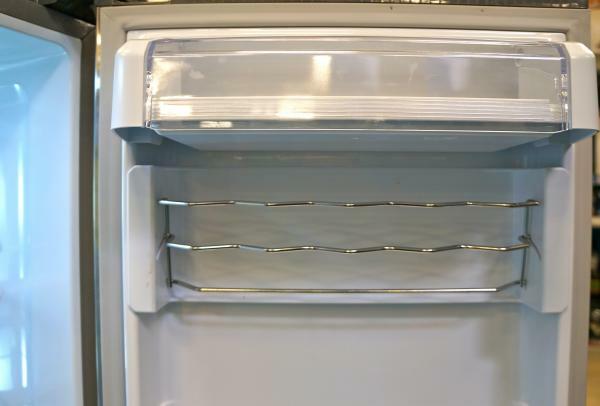 According to Consumer Reports, KitchenAid and LG side-by-side refrigerators with icemakers were slightly more repair-prone than other brands' models, but their study didn't determine any other specific brands or styles that were more or less repair-prone. 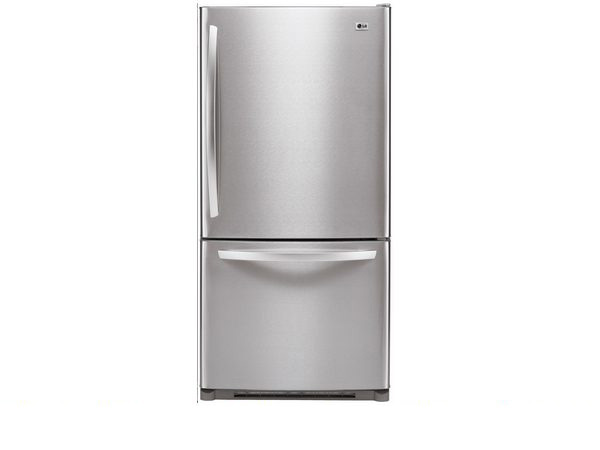 With that said, we still think the KitchenAid KBRS22KW Architect® Series II and the LG LDC22720 are good, moderately priced refrigerators. LG, in particular, received above average customer satisfaction in JD Power's study. 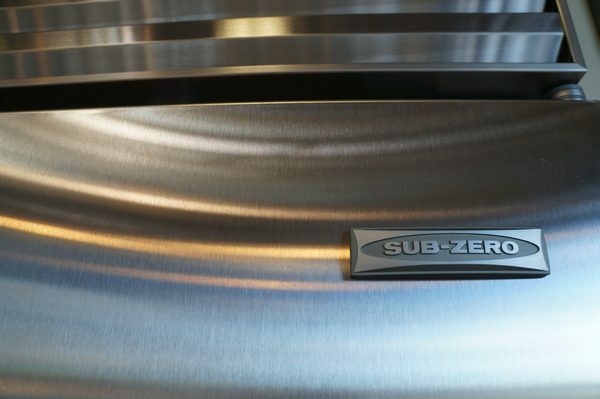 Sub Zero is known for its reliability. 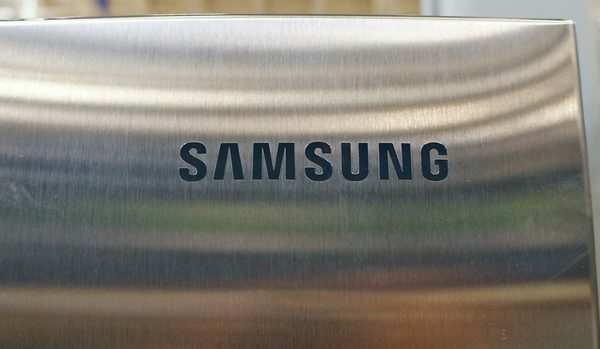 Like Sub Zero, Samsung is a brand known for reliability. Finally, we considered the reviews that each refrigerator has received from customers online. While we feel customer feedback is incredibly important, we don't weigh it as heavily in our scoring process because we think that it can be unreliable in certain cases (ex. uneven number of reviews, unhappy customers more likely to complain, etc.). In the event that a refrigerator doesn't have enough user reviews however, we will incorporate user reviews from similar models. For example, the Sub-Zero BI-36UFD is still relatively new and so we had to use reviews from the other built-in 36" models online. 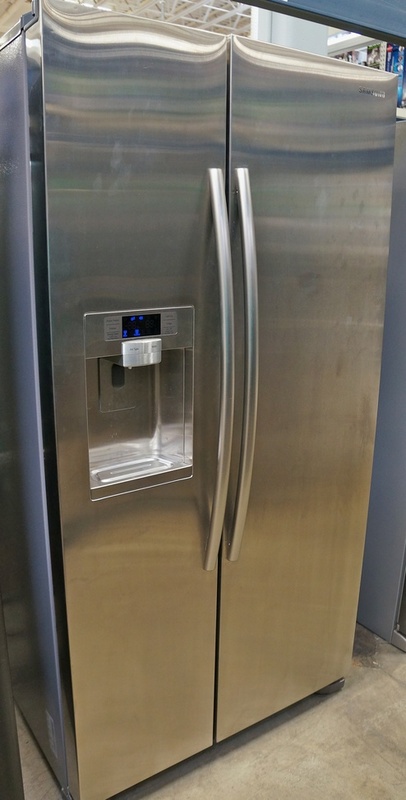 While there were some issues here and there with the models we reviewed, all of the refrigerators received very good to excellent ratings from customers online. 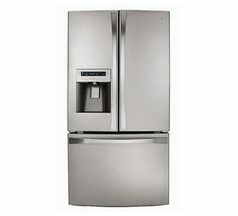 Our overall favorite refrigerator is the ENERGY STAR® qualified Samsung RSG257 Side-by-Side Refrigerator. Not only is it moderately priced with a great warranty, but it also features impressive dual evaporator cooling technology and a well-designed storage system for maximizing capacity and food freshness. 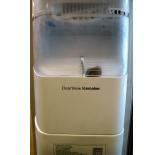 We also love its sleek, stylish look and that it has an external water/ice dispenser. 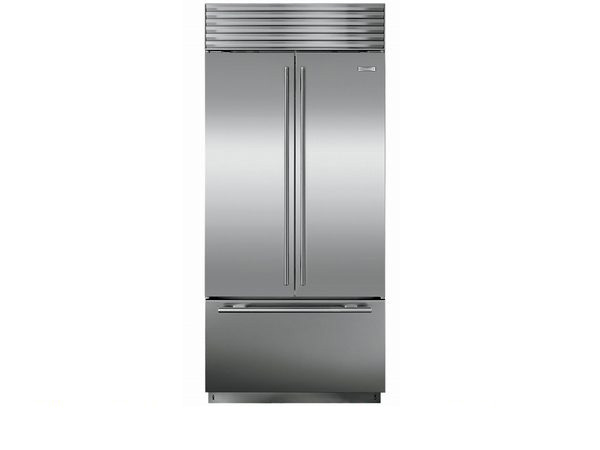 The Samsung RSG257 is a counter-depth refrigerator that has a smooth exterior with concealed door hinges and a concealed grill. Sub-Zero is a brand synonymous with amazing quality and design. While pricey and somewhat less energy efficient, it offers the best refrigeration system, impressive storage capabilities and a sleek, attractive design. 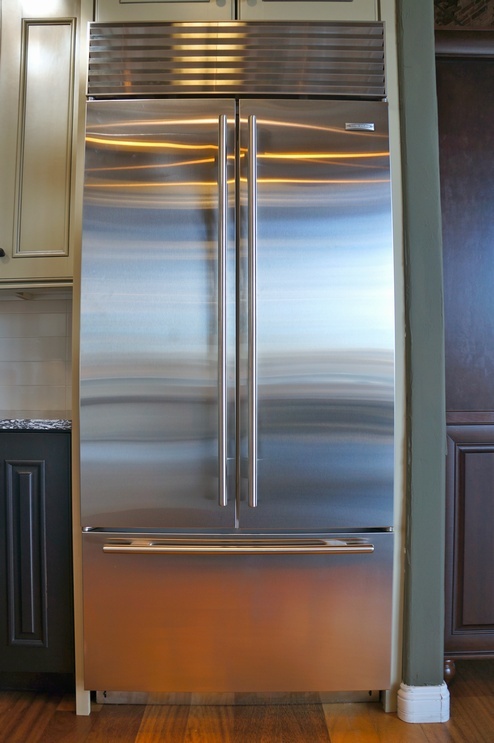 Our favorite model is the new BI-36UFD French Door Refrigerator. 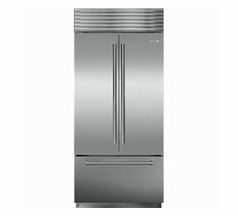 The Sub-Zero BI-36UFD French Door Refrigerator. The best refrigerator for those on a budget is the Maytag M1TXEGMY Top-Freezer Refrigerator with FreshLock™ Crispers. 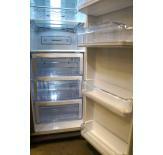 It is a no-frills, dependable refrigerator that has received excellent ratings from professionals and consumers alike. With nearly 31 cu. 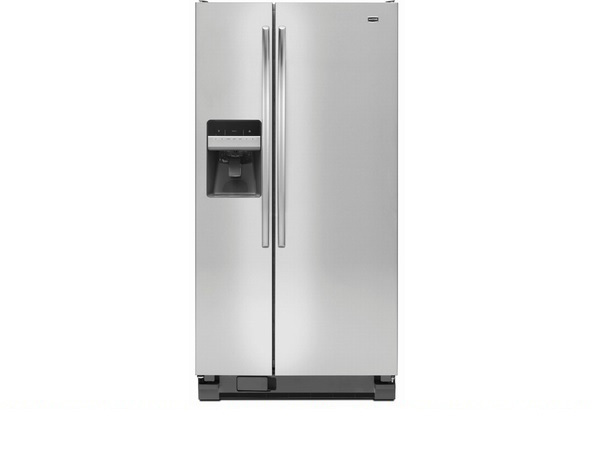 ft. of capacity, the Kenmore Elite 7205 French-Door Refrigerator is our top pick for large families. ENERGY STAR® qualified, it has a sleek design, a dual evaporator cooling system and an excellent storage system (including a three-tiered freezer section, two humidity-controlled crispers and a temperature-controlled deli drawer).